Tymoschuk is the most capped Ukranian player. Well, I found this shirt in an outlet and I liked it enough to spend a few euros on it. I have to say that by the moment it's the most uncomfortable shirt I have in the collection. The badge it's too rough, but the design of the shirt offsets its drawbacks. 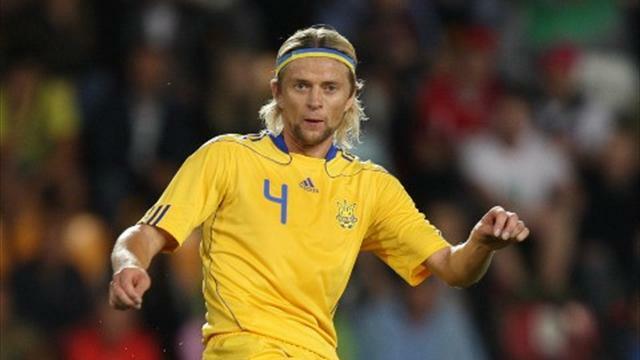 It's also strange to see a short-sleeved Ukranian shirt, because of the cold and that stuff.